Alignment of Ollantaytambo with ancient sites of the planet. Many know that it is a charming town and an ancient Inca city that can be seen on the way to Machu Picchu, but only those who give themselves the time to see their details, end up realizing that the ancient Inca city of Ollantaytambo is amazing. 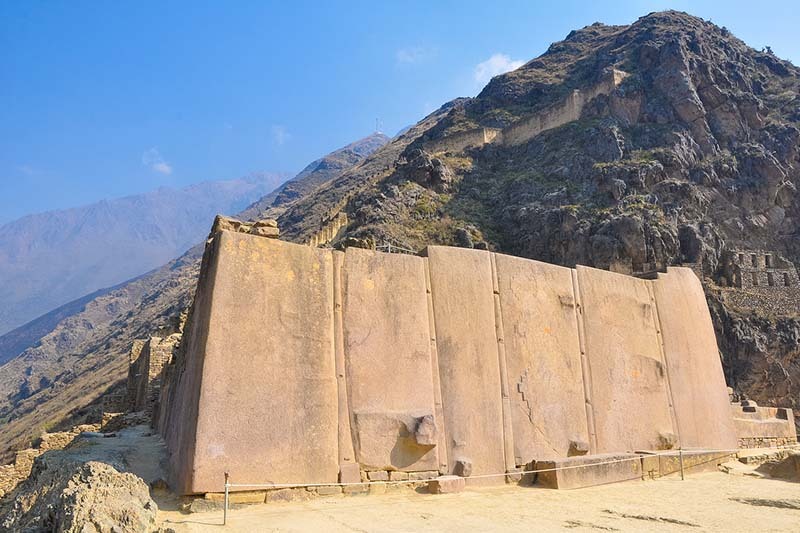 He has incredible structures that relate it to “old advanced technology”, but even more, he will be amazed to know – if he did not know – about the alignment of Ollantaytambo with other ancient sites of the planet. Easter Island in Chile, the Nazca lines in Peru, Ollantaytambo in Peru, the pyramids of Pantiacolla (the enigmatic pyramids of Paratoari in the Amazon) in Peru, the ancient paintings of Tassili n’Ajjer in the south of Algeria, in the Sahara Desert and the Pyramids of Giza in Egypt, are lined up in a large circle. I knew it? This alignment within the geodesic lines of the planet is incredibly amazing and gives Ollantaytambo a much greater meaning than we were giving it. They are no longer just theories. Thanks to the systems of global positioning, it is known of many old structures in the whole world constructed in very specific places, thousands of years ago. One of the best examples of the position of ancient structures on the geodesic lines of the planet is the Giza pyramid in Egypt. If you did not know, the position of the pyramid of Giza is very curious, because it is the structure more precisely aligned with the magnetic north, with only 3/70 of a degree (1°) of error. Another amazing feature of the Pyramid of Giza is that its weight is estimated at 5,955,000 tons; This number multiplied by 10 is a reasonable estimate of the total mass of the land. Then you may notice that these ancient constructions were constructed deliberately aligned in points with incredible accuracy. In addition to the pyramid of Giza; Siwa, Paratoari, Tassili n’Ajjer, Ollantaytambo, Machu Picchu, Easter Island, Nazca, Pyay, Khajuraho, Aneityum Island, Mohenjo Daro, Preah Vihear, Persepolis, Ur, Sukhothai and Petra, have exact locations and are shown in direction Clockwise from the circle of the pyramid of Giza, with exactly scaled distances. The circle crosses the equator and polar regions. The average distance from the axis point to the large circle is 6,218 miles. How can you verify this by yourself? This alignment is easily observable on a globe of the earth with a horizon ring; It is enough to place the ring in two of the places with distance 0 (zero) and the others will line up by themselves. 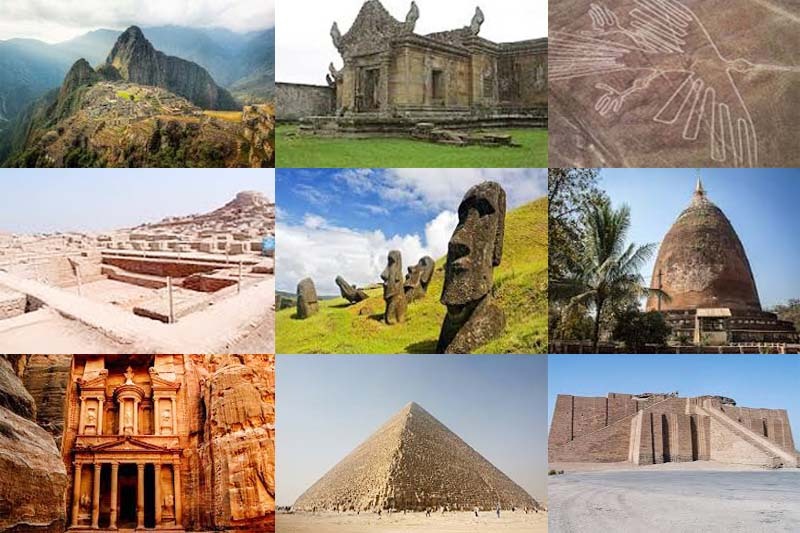 If you can do this you will realize that this circle connects the old structures we mentioned at the beginning of this post; But to the surprise of many, it also encompasses the major constructions of ancient cultures and civilizations across the globe. We suppose that, like us, he kept his mouth open and wanted to know more about this profound enigma; Unless you think this is just another strange coincidence. Do you want to visit Machu Picchu, Ollantaytambo and other amazing places in Cusco? Contact us at info@boletomachupicchu.com.